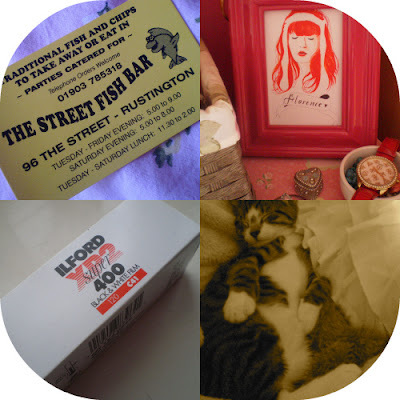 I haven't done a self indulgent update/diary post for yonks have I? This is either indicative of my rather uneventful life or my bone idleness. I prefer you believed the latter! First off...how do we all like the new look of things around here? I finally got round to putting up the header my gorgeous Skye designed for me a few months back, and I love it. 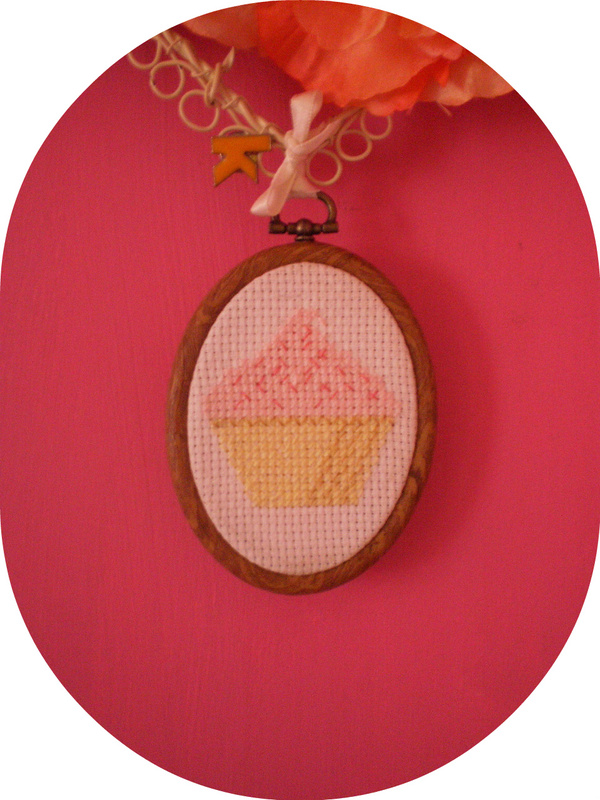 Remember this gorgeous little cupcake cross stitch Skye did for me a while back? Well she's only gone and opened her own online shop i am hand-made stuffed with loads of gorgeous cross stitches (and loads of other lovely things in the pipeline) everything is on sale at the moment so check it out for perfect stocking fillers. It's a bit of a work in progress as far as the blog makeover is concerned, I wanted to get the whole lot done at once but I've not be terribly well again so I've had to do it in drips and drabs when I've felt well enough, plus I'm not exactly what you would call a whizz with the HTML so sometimes I find it as hard going as my gran finds trying to get out of a beanbag, but I thought my little old blog deserved some TLC after making the Cosmo Blog Awards shortlist! Ruby over at Rubelle's Moon is giving herself the ultimate Gluten-Free Challenge of trying to cook various gluten-free recipes...kudos to Ruby though, she's doing some tricky things I have never attempted like puff pastry and naan bread. I challenged her too make gluten-free bagels, and gave her my mincemeat recipe shes making as part of her challenge. 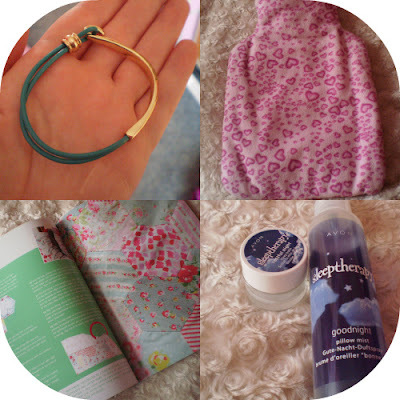 Shes lovely so go check out her blog and give her loads of support and encouragement! 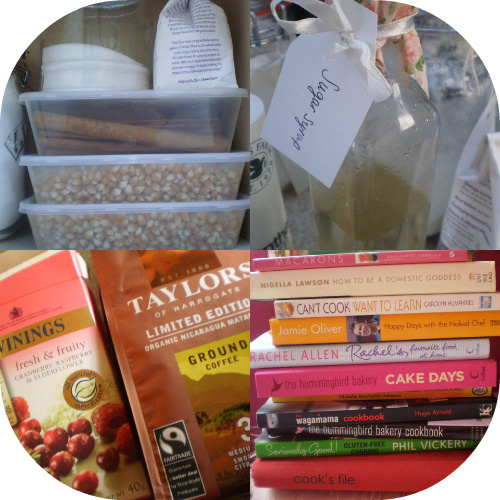 Caleigh from Gluten Freek has organised a gluten-free 12 days of Christmas and asked myself and a few other gluten-free blogger's to be involved. the premise being that we all cook something different on each of the 12 days. I called dibs on the Gingerbread recipe which coincides nicely with my own Christmas challenge...last year it was to make my own mincemeat with the ultimate intention to whip up gluten-free mince pies for the first time ever...this year I'm attempting a gluten-free gingerbread house. I'm both excited and absolutely bricking it...I don't possess the gentlest of touches so the likely hood that i muck the house up on the first few attempts by putting a finger through the roof or snapping a wall in half out of sheer excitement is very high. I've created a new page on the blog which is dedicated to readers pictures of my recipes. So if anyone has had a go at any of my recipes and has any snaps do pass them along and I'll whack you up in the hall of fame 'Your Katie-boo Bakes and Makes' what a snazzy page name, eh? Email me at thekatieboobaker@hotmail.co.uk or drop me a tweet @katieboobaker . A few weeks ago we got a 14week old kitten from the Charity Worthing Cats Protection League-although with this little physco cat it's us that needs protecting more than him. He will eat anything, chase anything and hang off anything. He launches himself at your pj toggles and chews on any stray wisps of hair escaping my pony tail. We literally haven't a clue what the crapping Nora we're going to do at Christmas when the little bugger is left alone with the tree or presents. He's scales the curtains like a commando and uses my room like an obstacle course and I can imagine him mulling over the Christmas tree as some sort of challenge he must complete, like a kitty Everest of sorts. Christ. Anyway. This has turned out to be a rather wordy post and its going to be rather picture heavy too, many apologies. I shall hopefully be back tomorrow with a Twice as Nice post. 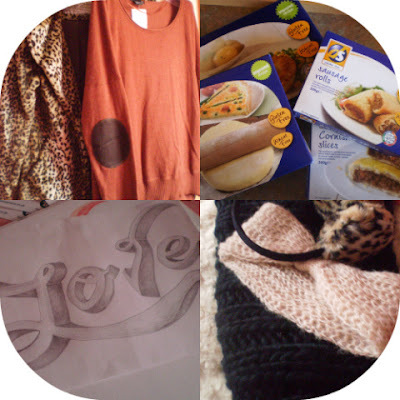 Bought various winter woollies to keep the cold out. Dietary Specials kindly sent me some of the new recipe frozen goodies to try out and I can confirm they were all very yummy. I've started drawing again in an attempt at diverting my attention when The Other Bowel Problems are causing me pain, it isn't always ideal especially when all I want to do is lay down but its helping. Sorted my baking cupboard out in an attempt at order before the Xmas baking rush is upon me. I'm living off coffee and fruit tea's at the moment with it being so cold. Been trying to sort out my recipe books and order them but I'm rapidly running out of bookshelf space. Sainsburys' very nicely sent me a selection of the new items from the Free From range, reviews coming soon! 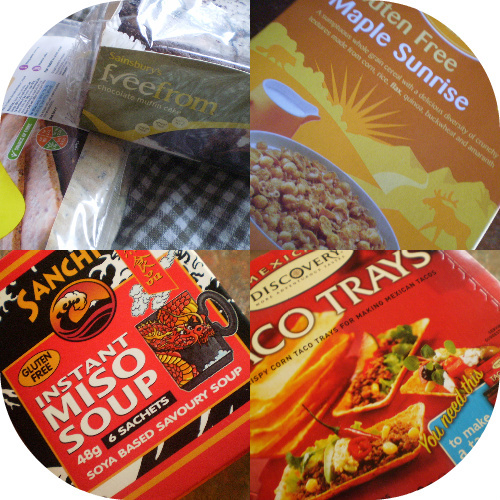 Enjoying finding gluten-free goodies, loving this g/f cereal, miso soup and taco trays. My gorgeous bracelet from Becky as my consolation prize for not winning the Cosmo blog awards! Keeping my hot water bottle topped up in this weather and while I've been poorly and spraying my pillows with this sleep therapy spray to help me relax at night. I've been flicking through my Kath Kidson 'Sew' book for pressie ideas to make for my friends. Found a lovely frame for my lovely Flo print from Natasha at The Secret Tea Party, discovering gluten-free chips are available at my local chippie ALL THE TIME and once a month you can get g/f onion rings,sausages and fish! Here's Sleeping Physco himself. Finally getting film for my Diana. Mum bought me this a few weeks ago after I made the Cosmo blog shortlist, the F got bent after the whole thing fell off the top of my wardrobe and onto her head.